Our meditation retreat this week-end was just as relaxing for our guru Anubis as it was for all of us. 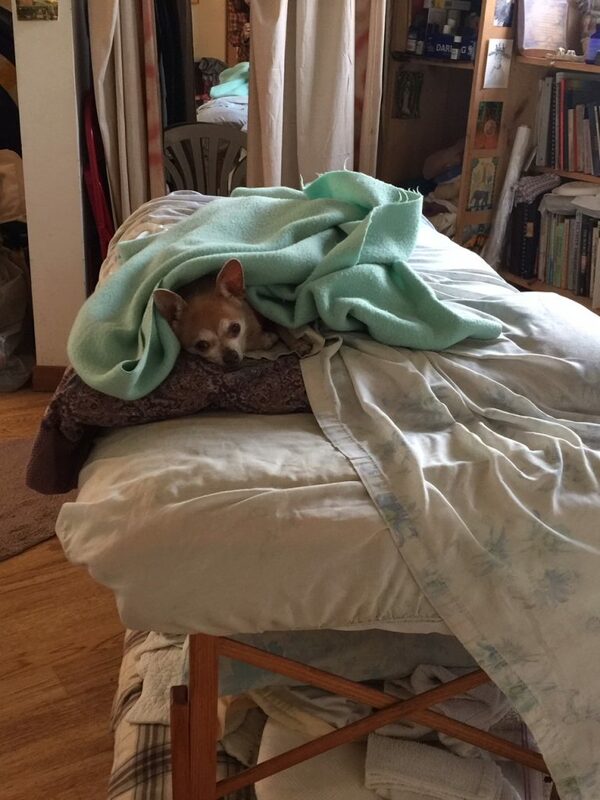 He loved the constant attention, tracking the illusive chihuahua trapped in the mirrors, and being in the company of open-hearted and fierce women–all warriors, like him, in mind, body, and soul. May we all live such a relaxing life like him!